Heartbreak can feel like being run over by a giant lorry as you’re riding a roller coaster. It gives you highs, lows, and leaves you utterly knocked out no matter how much you tell yourself to ‘just get over it’. But why is it that heartbreak is so hard to recover from? Does it cause actual fatigue and physical symptoms, or are you imagining that? And why can a breakup feel so bad if you didn’t even enjoy the actual relationship? 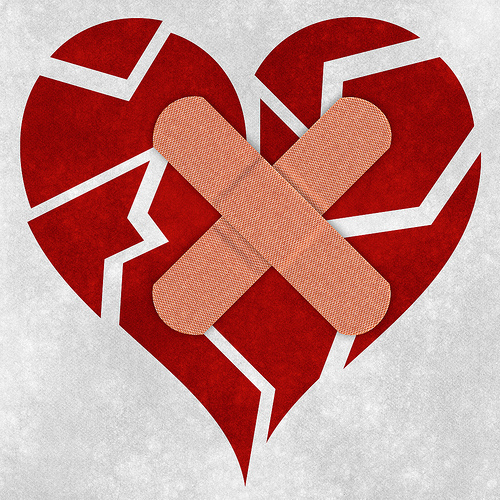 By looking at the psychology of heartbreak you can find answers to all of these questions, and better yet, you can discover practical tactics to more effectively manage when your heart takes a hit. 1. For your brain, coming through heartbreak is like coming off of drugs. We all want to think of love as an emotion. But when researchers looked at the brain in love they discovered that, while love triggers emotions, it is actually more of a ‘motivational state’. The researchers used magnetic resonance imaging to study the brains of 15 men and women who claimed to be very much in love and found activation in the part of the brain connected with gains, losses, cravings and regulation of emotions. In other words, the brain creates love to get what it wants. What it wants is the object of affection, so it manufactures love to motivate you to deliver its desire. The same researchers discovered it didn’t matter if the person was no longer happily in love but was in the throes of a breakup and feeling terrible. Their brain was still in motivation mode and the neurons still expected a reward. And the really interesting thing is that this part of the brain, which works around gains, losses, and cravings, is the same part of the brain that lights up when someone is a cocaine addict. 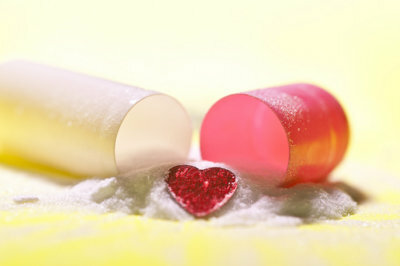 So both when we are in love and when we are fresh from a breakup, we are essentially like a drug addict. TAKEAWAY TIP: When you are in the throes of heartbreak you are as logical as a drug addict coming clean. So while usually it’s important to trust that you know what is best for you, heartbreak is one of the times you might want to trust your family and good friends. If they say it’s not a good idea to call the ex, it probably isn’t. Also, find support. Like coming off drugs, breaking away from a relationship is hard, and we all need a ‘you can do it’ team as we go. 2. Heartbreak makes your mind an extremist. As evolutionary psychologists are fond of pointing out, our brains are slow developers that are still caveman-like in their programming. So when we experience a stressful situation like a heartbreak, our brain sends out a ‘fight or flight’ signal, as if we are about to be killed if we don’t react. One of these fight or flight mechanisms is what is known as ‘black and white thinking’ also called ‘all-or-nothing thinking’ or ‘splitting’). Black and white thinking is when we only see things in extremes. Way back in prehistoric times, this helped our brain in times when uncertainty would up our chances of getting killed and we needed to run away, not ponder the options. Nowadays black and white thinking is less a lifesaver, and more a source of drama. For example, if we know we need to leave a job we are in and it is stressing us out, we might think, ‘if I leave this job I will never find anything else, and if I stay I will be miserable forever’. When it comes to heartbreak, the options we see might be ‘I will never find love again’ and ‘I am going to date every person who asks me from now on as I don’t care’, or ‘she was the best person I ever dated’ to ‘she is the most evil person walking the planet and ruined my life’. The problem with this sort of extreme thinking is that not only do we miss out on the myriad other realistic options available to us, but we increase our chances of depression. Black and white thinking leaves us on a cycle of highs and lows because it is very emotionally stimulating when we think this way. 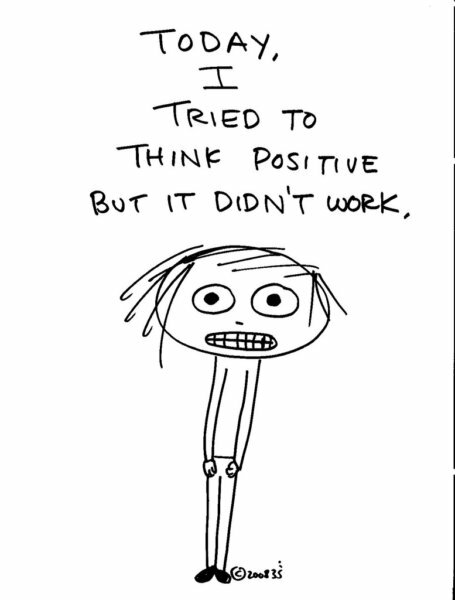 TAKEAWAY TIP: If you can start to spot your extreme thinking, you can start to even out your moods. Watch out for extreme words, such as always, never, the best, the worst. When you catch yourself using such statements, take a moment to look at your thought. Ask yourself, is it realistic? What proof do I have to support this statement?And what might a more balanced thought look like? You might also want to try a round of CBT therapy which specialises in helping you notice your extreme thoughts (which CBT therapists call ‘cognitive distortions’) in place of more balanced and useful thinking. 3. You are less able to tell the truth about what has happened then you think. We all like to think we remember things exactly as they are. And yet research done at the University of California has proven that even those of us with photographic memories don’t remember things perfectly. It seems our minds can easily be fooled into thinking we remember something we actually didn’t and distorting truth. So it’s bad enough that left to its own devices your brain wants to tell tall tales. What about when we are under a lot of stress, like when a relationship crashes and burns? Stress hormones will promote your building of negative memories. A very recent study at the Arizona State University showed that the hormones norepinephrine and cortisol, released by the brain when we experience stress, cause us to focus on and build negative memories while ignoring the positive side to our experiences. (The study was, admittedly, only done on women, who in studies are shown to be more likely to experience shock from traumatic experiences). TAKEAWAY TIP: Part of heartbreak is the inevitable ‘rehashing’ about the relationship to anyone who will listen. Not only does it cause us to re-experience the pain of the breakup, it can become a ‘story’ we are addicted to telling, and one that is scientifically unlikely to even be true. When you hear yourself going through the details of the relationship again in a negative way, try to remember one postive for every negative. And consider talking to a counsellor and psychotherapist who can support you in telling the story in a way that helps you heal and move on. Sometimes friends, despite best intentions, sympathise and encourage our negativity and righteous indignation and send you on a spiral of upset before you know it. 4. 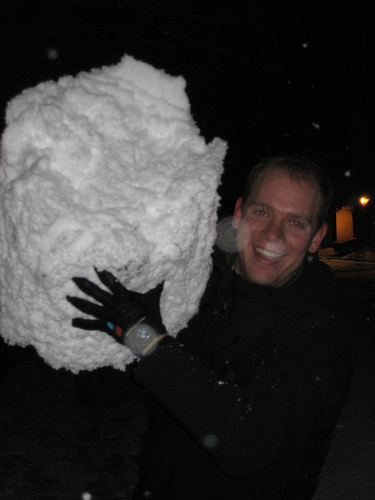 The psychological ‘snowball effect’ can knock you over. Have you ever been with someone you weren’t sure you were in love with, broke up with them, then suddenly been totally devastated and heartbroken? You were probably left wondering, why you were so upset, even as you were unable to control your sadness. If so, you’ve been the victim of a ‘psychological snowball’. Trauma in the present often triggers repressed traumas from your past. Even if you are not consciously aware that these old traumas are being released, you will feel it, via really overwhelming feelings of sadness and despair. The little snowball of heartbreak rolls into a big boulder of a snowball before you know it. TAKEAWAY TIP: Monitor your emotions. Do they fit the crime? Or are you incredibly depressed over breaking up with someone you only knew for a month? If your emotional response seems a mismatch, then it’s likely you are being triggered. Try journalling, a great way of creating a relaxed space for the mind to reveal its hidden depths. Sometimes, if you’re really triggered, it is time to talk to a professional. It’s amazing how sitting in a room with an empathic stranger can have us suddenly unloading experiences we had forgotten happened, as if the very process of committing to seeking help and finding a safe environment acts like a magnet to pull out what is really bothering us. Also, overreaction to relationship breakups can be a sign of Borderline personality disorder, which a professional could spot and help you with. 5. Heartbreak can trigger psychological shock, a very real condition. Heartbreak, like any other trauma, can put you into psychological shock, also called ’emotional shock’ and ‘acute stress reaction’. And emotional shock doesn’t just cause anxiety, fear and a sense of unreality. It also comes with a host of possible physical symptoms, including but not limited to sleeplessness, a racing heart, headaches, stomach upset, muscle tension, and random physical aches and pains (read more in our article 7 Warning Signs of Emotional Shock). So yes, love really can hurt, when we have to let it go and need to move on. TAKEAWAY TIP: Read up on emotional shock so you can spot the symptoms. And give yourself a break; you really are tired and unwell, it’s not in your head. Again, don’t expect big things of yourself or make big decisions, but focus on good self-care. And drop the deadline to ‘get over it’. Shock comes in cycles, much like bereavement, and it’s best to accept it can take some time to feel better. Have you experienced any of the above with a breakup? Have something more to say about the psychology of heartbreak? Do share below, we love hearing from you. Knowing how the brain functions after love and the chemical reactions surrounding it helps me a lot. I know memory is not reliable but I trust it. But, thanks to reading this i know I have to stop. Very helpful article, it help me to better understand myself. Thanx. Yes, we all tend to romanticise… while sorting out the past is of course important, when it comes to breaking free of an unsupportive relationship it can be most helpful to focus on the present and future, and how you can best take care of yourself. hello! i am doing a research on the psychology of heartbreak for our psych class, and i’d like to base some of the details in my report from this column. would that be fine? i’ll be giving credit where credit is due, as this report will be in a form of an infographic. Yes, that’s fine, we like to help spread good information. Reassuring to have an experience I relate to described in simple, non-judgemental words. I’ve read hundreds of websites and am seeing a psychotherapist. But it is very hard to allow myself permission to hurt. We are glad that you found it useful. It’s interesting, the word permission. Is this word something you’ve explored with your psychotherapist? Amnesia. It took over 40yrs. The sad news is..I am afraid to contact him for fear of rejection, which would be entirely justified. My behaviour towards him was so hurtful. It sounds like you have been an awful lot. I would say that you deserve to forgive yourself for what has happened in the past. We all do things we wish we hadn’t, each and every one of us, and we can’t live without at some point hurting others. It’s part of the human experience and how we grow as people. What matters now is finding new ways to feel good about yourself and connect to others, ways that work for you now, in this moment, as opposed to in a past you can’t change. We hope you make the effort as you deserve to feel loved and accepted for who you are. Thanks so much for providing individuals with an exceptionally splendid opportunity to read critical reviews from here. I just like the caring information you provide to your articles. Thank You! It was great to read this article. My ex and I were classic anxious- avoidant pair. And while we deeply cared for each other, the day to day was very hard and I finally walked away. Now all I want is to talk to him one more time. Sit in the park one more time, one more dinner and so on. It’s still really fresh but reading about the drug like High helps me put in perspective what is actually happening in my brain chemically. Also, I have the opposite problem as listed. While in the relationship I focused on the bad but now I am romanticizing the good. It was also useful to read about the shock coming in waves. Helpful read. Hi Neha, it’s very common to romanticise a relationship once it is over. If it helps, write out a list of what wasn’t working you can use to keep your grounded. If you feel there is an addictive element going on, consider if several weeks of zero contact might be best for you. And if you really can’t stop obsessing after a month or so, do consider counselling. These types of relationship patterns are usually rooted in childhood experience, and support is often needed to work them through. I did learn new things and the best part was how there’s focus on positivity and logic because, as explained in the article, we lose rationality because we act and think in extremes. The only problem with me is that I don’t want to move on! I want to love the person forever(I’ve been dumped and he instantly got involved with someone else which makes me insecure even when I don’t want to be), and be happy and be a part of his happiness, not expecting anything, but still being able to love him as I always did. Hi Saumya, and is that really ‘love’? To try to force someone who has treated you badly to care about your existence? An interesting question to think about. We’d suggest you do some research around codependency. And consider counselling. Often, when we are in this kind of ‘love’ pattern where we devote ourselves to loving people who don’t love us back, it stems from a childhood where we had a parent that did not offer us love easily and we had to ‘earn’ it, such as by always being a good child. Or we had a parent who actually wasn’t kind or even a good person, and as adults we turn that into loving other people who aren’t good to us as if somehow that can prove to our unconscious mind our parent was ok after all. These are deep rooted issues best looked at with the support of a trained professional. Hope that helps.